Mathew Idiculla is a Research Consultant at CLPR where he focuses on urban law and policy work. He graduated with a B.A., LL.B. from School of Law, Christ University and worked at the School of Policy and Governance at Azim Premji University from 2012 to 2016. He has also been a researcher in the project “Global Suburbanism” housed at York University, Toronto. Mathew’s research interests are in the intersection of law, politics and policy, particularly in the following areas: Constitutional and Political History of India; Comparative Constitutional Design; Theories of State and Governance; Federalism and Decentralisation in India; Urban Governance and Policy; Local Government Law and Critical Urban Studies. 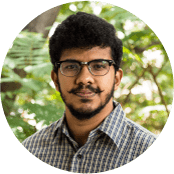 Mathew has widely researched and engaged with Bangalore’s urban governance issues for many years and helped in framing the proposed legal and governance architecture of the city government under the 2015 Report of the Expert Committee on BBMP Restructuring. Along with academic and policy research, he organises a discussion forum on urban issues and writes regularly on various public concerns in newspapers, magazines and online publications. Will nationalist card be enough for NDA to retain power? CLPR Research Consultant Mathew Idiculla asks, will the nationalist card be enough for the NDA to retain power? Writing for the Deccan Chronicle, he looks at whether Bengaluru voters will be prioritize national or local issues when deciding whom to vote for. Rahul Gandhi wants to directly elect mayors. But is it a workable idea for India? CLPR Research Consultant Mathew Idiculla analyses Rahul Gandhi’s plan to directly elect mayors. He asks, ‘is it a workable idea for India?’ On Tuesday, 2nd April 2019, the Rahul Gandhi released the Congress Manifesto. He wants to introduce a system that directly elects mayors to provide leadership that builds ‘real smart cities’. Mathew Idiculla, Rajendran Narayanan and Amit Basole analyse what an urban employment guarantee might look like. They argue that it would not only improve worker incomes, but also have a multiplier effect on the economy. On February 8, 2018, Chief Minster H.D. Kumaraswamy presented the Karnataka state budget for the financial year 2019-20. In this short comment in Prajavani, Mathew Idiculla analyses the urban development and infrastructure components of the state budget. He argues that though there are no trailblazing ideas on urban development in this budget, an overall emphasis on sustainability and public transportation is positive. The proposals for a “Bengaluru Mobility Scheme” and a “Parking Rules and Implementation Policy” are particularly noteworthy.